Property 6: Getaway by the sea,fishing, surfing,swimming and a happy safe place to stay. Beside The Sea Exclusive waterfront apartment. Property 10: Beside The Sea Exclusive waterfront apartment. Only 40 metres to the beach! 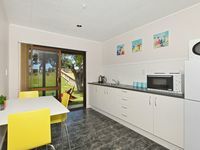 Property 12: Only 40 metres to the beach! Property 15: Personalised, boutique, beachfront accommodation. Relaxed quiet home away from home! Property 17: Relaxed quiet home away from home! Beachfront in quiet idyllic bay. Property 25: Beachfront in quiet idyllic bay. Paradise in Pataua, beach front bach with it all ! Property 28: Paradise in Pataua, beach front bach with it all ! Property 32: Personalised boutique beachfront accommodation. Kohinui Holiday Unit, Perfect family retreat. 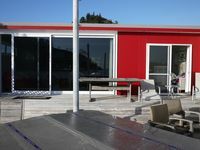 Property 33: Kohinui Holiday Unit, Perfect family retreat. Boutique cabins on a private equestrian property. Property 39: Boutique cabins on a private equestrian property. Property 43: Boutique cabins on a private equestrian property. Property 50: Boutique cabins on a private equestrian property.